Creditors use credit reports to get a broader view of your credit history. In the report, it lists the types of credit you use, the length of time the accounts have been open, and whether you pay your bills on time or not. So, in essence, it is a snapshot of your credit history as reported by lenders who have extended credit to you and that information generates a credit score. The good news for those who make timely consecutive monthly payments is that your credit score increases when creditors report such activity. A loan applicant who does not have a clean credit history may not be deemed an acceptable risk by a lender. The lender may deny the credit or the cost of credit to you, such as interest rates, may increase. Omni Financial chooses to report account activity to the credit reporting agencies in order for those who make timely monthly consecutive payments to increase their chances of increasing their credit scores. This is important for service members who desire to purchase a home in the future or an auto at a reasonable Annual Percentage Rate. Your credit report is furnished to creditors by the three major credit reporting agencies; TransUnion, Equifax and Experian. When you are approved by a creditor, whether it is an installment loan or credit card, that loan or purchase you make with a credit card establishes a tradeline on your credit bureau. Tens of thousands of creditors, retailers, credit card issuers, banks, credit unions and installment lenders send updates about every 30 days about how customer use and pay their accounts. There is no magic formula for raising your credit score other than making your payments on time and for the amount agreed upon. Some of the credit repair organizations claim they can fix your credit which is not necessarily true. More than likely, you will pay for something that you can do yourself. Contact your creditor before it goes to a collection agency. Most creditors will work with you through the tough times and help you get back on track. It is important to periodically check your credit report for inaccuracies and possible identity theft. If you find a possible mistake on your credit report you will need to contact the credit bureau and the organization that provided the information. The credit reporting agency must investigate the dispute and respond to it usually within thirty days. You should always include copies of supporting documents, a copy of the credit bureau with the tradeline in question circled, and your complete name and address. Clearly identify each item in question, state only the facts, provide supporting documents, and request a resolution. This can be accomplished on-line at the credit bureaus’ website or in writing to the address provided on their websites. You can get a free credit report once a year at www.annualcreditreport.com. Lastly, there are some creditors who do not report to the credit reporting agencies just because you are a service member on Active Duty. 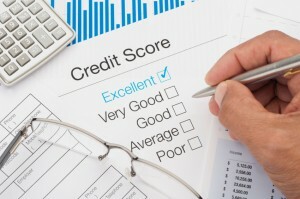 If you do not see this tradeline on your credit report, you should call the creditor and have them report it. They are not doing you any favors by not reporting it, unless that account is delinquent or charged-off.